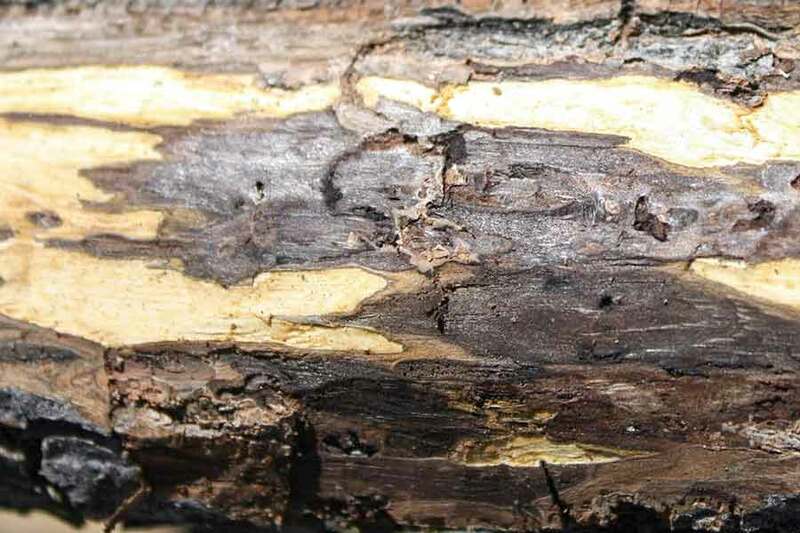 Thousand cankers disease primarily attacks black walnuts and is caused by the combined activity of the walnut twig beetle and a fungus it transmits. The fungus is spread as adult beetles feed beneath the bark. 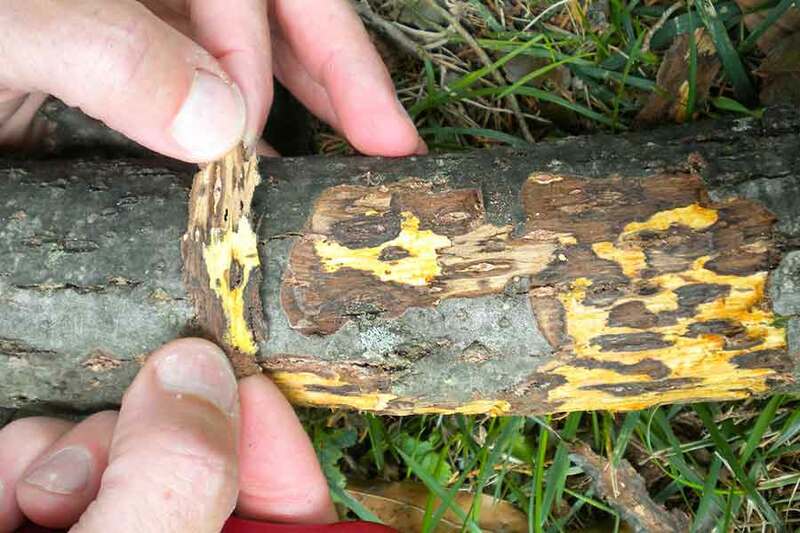 As the fungus spreads, it kills areas underneath the bark (called cankers), blocking the flow of water and nutrients and often killing the tree. The danger to other species of walnut is still being evaluated. The disease poses a serious threat to an important eastern native tree, which has also been widely planted in the West. Black walnut is highly valued for its beautiful wood and edible nuts. The beetle is native to the western United States. The origin of the disease is unknown. Thousand cankers disease has killed many walnut trees in Arizona, California, Colorado, Idaho, New Mexico, Nevada, Oregon, Utah and Washington. It has also moved east into native ranges of the black walnut and has been confirmed in Indiana, Ohio, Pennsylvania, Virginia, North Carolina and Tennessee. Quarantines are in place in those states and many others in the Midwest and Northeast. Thousand cankers disease is difficult to diagnose, and no effective control measures have yet been developed. Usually the first identifiable symptoms are yellowing, wilting leaves and dead limbs in the upper part of the tree. These dead leaves remain attached to the stems. Closer inspection may reveal small, sometimes weeping, beetle entry holes in the trunk or discolored cankers beneath the bark. Infected trees may also often produce suckers from the lower trunk. If you suspect a tree has thousand cankers disease, contact your state Department of Forestry, Agricultural Commissioner’s office or cooperative extension. To prevent further spread, it is very important not to remove wood of infected trees from your property. Thousandcankers.com is a great resource for information on the disease, including specifics on state quarantines, who to contact and how to dispose of dead trees.